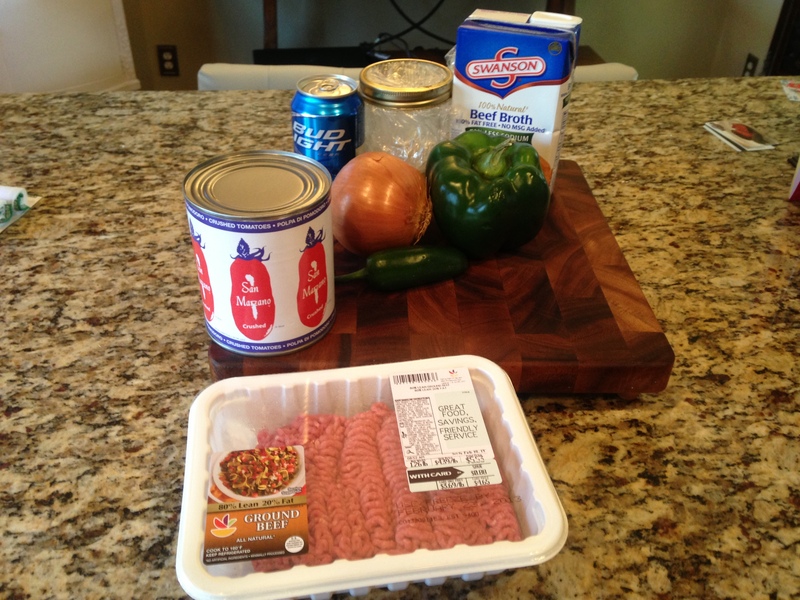 I have been constantly revising my chili recipe and this time I think I got it down. That doesn’t mean I won’t tweak it again next time, but I have discovered 3 must have ingredients and 1 essential method: The three ingredients are: bacon grease, unsweetened cocoa powder and Texas Pete buffalo sauce. The method is doing at least 2-3 spice dumps over the course of cooking. This is a great meal for a rainy, gray day like today and it makes the house smell wonderful. I always serve it with cheese and sour cream and have tortilla chips on the side for dipping. 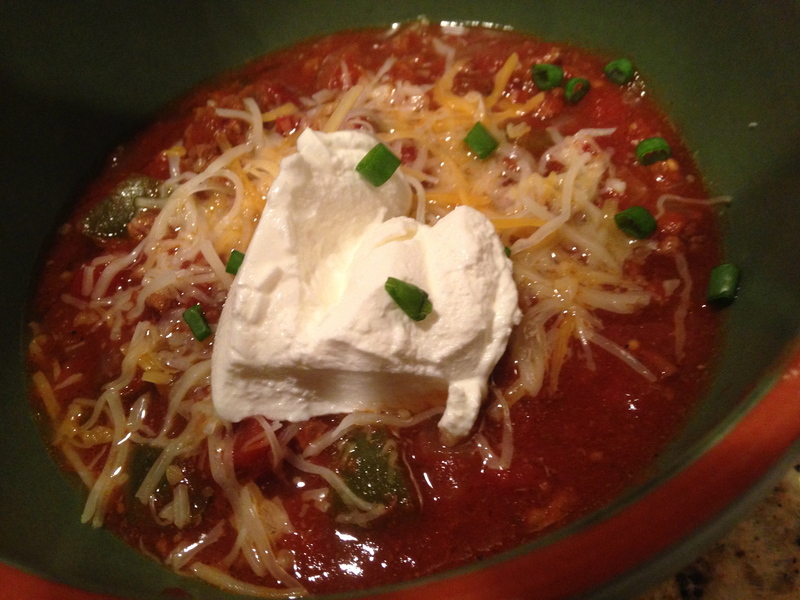 This chili has a nice heat to it, but reduce the amount of cayenne or leave it out entirely to reduce the heat. Heat the bacon grease in skillet and then brown the meat. Remove meat to a bowl with a slotted spoon and drain off 90% of the grease. Before the tomatoes are added. 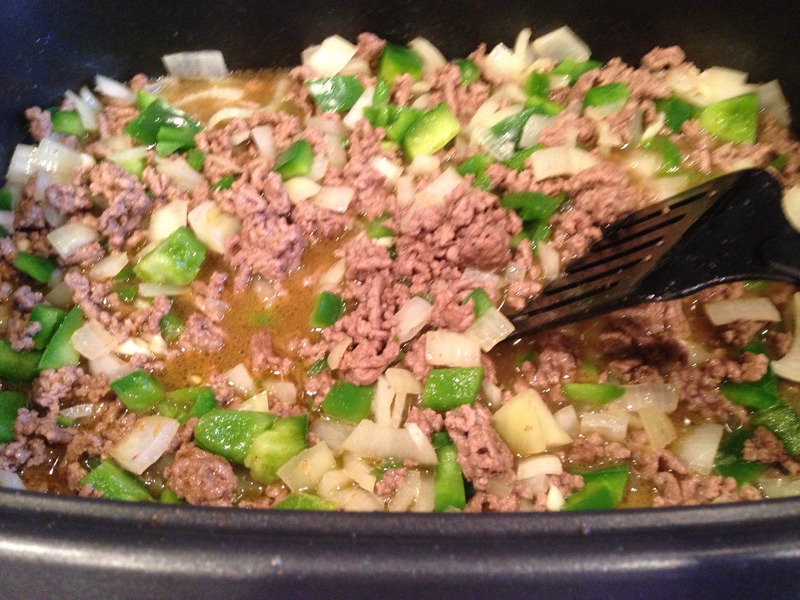 Add the tomatoes, Texas Pete and ½ of the seasonings to the meat and vegetable mixture. Cook on low heat for at least 4 hours. Halfway through cooking, taste and add the rest of the seasonings as needed. Serve with cheese and sour cream on top.